Are you a coffee drinker who loves cappuccino and espresso? If you are, perhaps, it has been your long time dream to have your own espresso machine but sets the idea aside because of your budget. The good news is that there are espresso machines that will not break the bank. This cheap espresso machine lets you enjoy delicious espresso or cappuccino any time of the day. For a price of under $100, you can create your espresso the way you want it. With the machine’s dual filter holder, you can opt to brew E.S.E. pods or ground espresso. For a rich, creamy froth for your cappuccino or latte, there is the swivel jet frother. 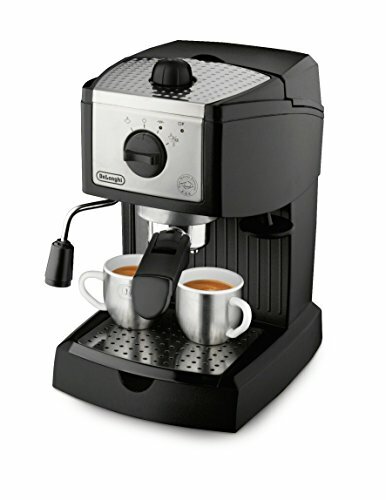 Other features of this inexpensive espresso machine include self-priming operation and stainless steel boiler. As for cleaning and maintenance, the EC155 has a removable 35-ounce water tank with indicator light. This makes it easy to disassemble and clean the tank anytime. Lastly, this model is durable and preparation of beverage is quick and easy. 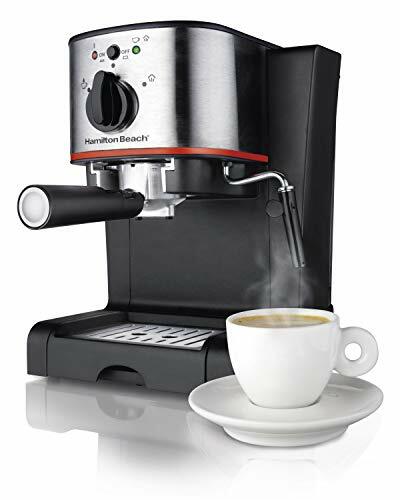 For coffee lovers looking for a cheap espresso machine that delivers, this compact and lightweight model is not hard to like. Using compact brewing unit technology, the Inissia has a quick preheating time of 25 seconds and high pressure pump 19 bars high. Moreover, the removable water tank can fill up to 24 ounces and is easy to clean. This model also has a folding cup tray to accommodate tall glasses as well as an ergonomic handle. Other features include 2 programmable buttons for making espresso or lungo preparation, automatic shut off after 9 minutes of being idle and one-touch operation for a tag price of under $100. CAFE-QUALITY RESULTS: Indulge in espresso, cappuccinos and lattes right at home using either espresso pods or ground espresso. 15 BAR ITALIAN PUMP: Supplies the pressure necessary for excellent extraction and rich crema. EASY SETUP: No fiddling with brew heads in hard-to-access areas - just slide the patented Slide & Lock portafilter into place from the front of the machine and lock it on the side. SWIVELING STEAM WAND: Lets you steam and froth milk for cappuccinos and lattes. CUP WARMER: Keeps cups warm until serving time. For a perfect cup of cappuccino or espresso without having to deal with a complicated and expensive coffee maker, easy-to-operate machine is a great choice. 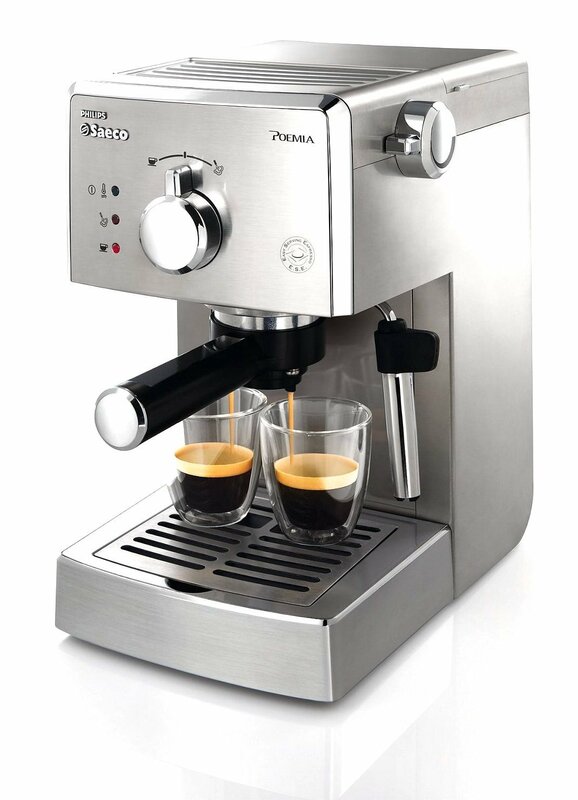 This model has a 15-bar pump to ensure excellent extraction and rich crema. Setting up is easy with the slide and lock filter holder and the swiveling steam wand for frothing or steaming milk. Equipped with a selector dial, it is also easy to choose from brewing a finely ground espresso or a pod. 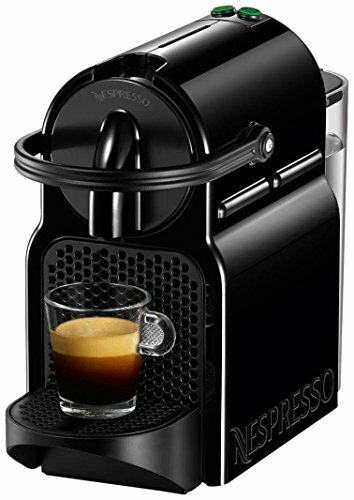 Its size is smaller than other espresso machines and has stainless steel accents that give the machine’s elegant look. For a little under $100, you can enjoy your espresso or cappuccino without sacrificing the taste. This manual espresso machine is a good buy for people who prefer their espresso machines on a budget. The patented pressurized port filter ensures delicious crème. Moreover, the 15-bar pump is a combination of versatility and precision to deliver at full force and for steam capability. Other features include indicator lights, a Pannarello steam wand and a stainless steel. All these and more for a price of just a little over $100. With these choices, finding a cheap espresso machine that will suit your taste and budget is easier.